"When a relationship functions properly there's no power struggle, there's no sense of inequality, there are no important needs that are aching to be met. There's a sense of being at home with each other." "The lesson to be learned from the long and happily married couples is that bad times can pass, and good times return." "If you think that sticking to your guns and refusing to please your partner is a winning position, think again. There is no way that you can win if your partner loses." Shirley Glass, Not "Just Friends"
"Commitment is not a one-time event; it's an ongoing process." "Marriage isn't about dividing things up 50/50 anymore. That's what roommates do when they share the rent. Marriage should be about supporting and helping one another, despite 'fairness.'" 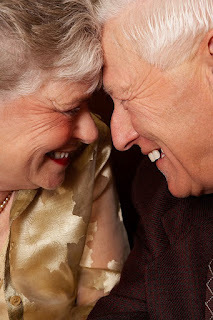 "Happiness and longevity in a relationship occur when folks wake up in the morning and ask themselves how they can make their partner's day better." Nice quotes. I especially like that last one. What beautiful quotes and what a beautiful blog. I just got married and appreciate this much. Wonderfully poignant quotes that are very true. Very inspiring for everyone from newlyweds to those who have been married decades. Thanks for sharing them.